The myriad faces of India make it an enchanting country to plan your dream holiday here. Its perfect melange of cultures, religion and history never disappoint travellers booking luxury tour packages for India. This is one country that pampers you with seamless luxury in a unique way. You can feel like a royal Indian king while experiencing the most fascinating facades of the country’s past as well as present. Rajasthan is a clear winner that lures travellers to plan luxury holidays in India. The state is the one of the richest states in India which was once ruled by many legendary Rajas and Maharajas. Rajasthan has some of the most spectacular cities under its horizon like Jaipur, Jodhpur, Jaisalmer, Bikaner, Udaipur, etc. each of which has been dotted with priceless caretakers of Indian history. Take a Rajasthan luxury tour and get a chance to stay in the most extravagant hotels which were once residence of kings and queens ruling here. Enjoy a stay in the Shiv Niwas Palace of Udaipur which was built in the 20th century and welcomed numerous dignitaries of the Mewar royal family of those times. 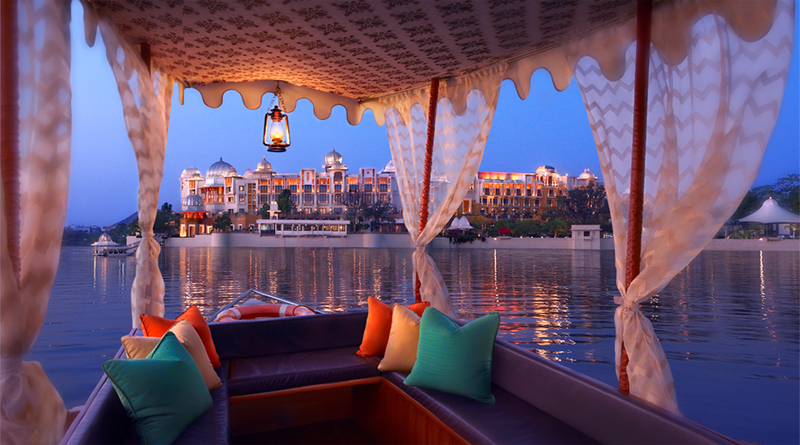 Lake Palace in Udaipur is also a dream stay for every traveller on luxury holidays in India. Encircled by the waters of Pichola Lake, the palace is a heritage property with 66 rooms and 17 suites. Other than these, there are Umaid Bhawan Palace of Jodhpur, Rambagh Palace of Jaipur, Samode Palace of Jaipur, The Lalit Laxmi Vilas Palace of Udaipur and Neemrana Fort Palace of Alwar which truly redefine luxury. Many travellers prefer to book their luxury tour packages India to relish a Golden Triangle tour India. The Golden Triangle remains the most popular travel circuit in India that treats you with three of the most vibrant and cultured cities of the country – Delhi, Jaipur and Agra. The tour starts in Delhi, the National Capital. Delhi brings to you a combination of new and old India where on one hand you can see the most modern edifices, whereas on the other you can explore some of the remarkable historical monuments still standing high with pride. Some of the most priceless gems of Delhi include India Gate, Red Fort, Jantar-Mantar, Laxmi Narayan Temple, Jam Masjid, Chandni Chowk, Kutub Minar, Akshardham Temple, etc. Do not miss a shopping experience in Delhi. Next destination is Agra, home to the majestic Taj Mahal. Cladding the banks of Yamuna River, Agra is a major tourist destination among history seekers. Next you will be taken to Jaipur, the pink city of Rajasthan. The city is a proud owner of some of the most attractive monuments and offers you opportunities to delve into the cultures of Rajasthan in a beautiful manner. Book your India luxury holidays packages today and enjoy a lavish stay in these astonishing destinations oozing grandeur in every sense. These tours pamper you and spoil you with endless majestic sites which stay with you for a lifetime.